Electronic commerce, also known and e-commerce or EC, involves the electronic buying and selling of goods, services and information. By employing e-commerce techniques and strategies to establish a web presence, businesses in nearly every industry have enhanced their ability to reach out to current and potential customers and clients locally and worldwide. However, many businesses that have failed to embrace e-commerce have lost large segments of market share, and some have gone under. Firms engage in different levels of commitment to electronic commerce and e-business. Many companies start out as Internet pure-plays, never establishing an offline base of operations. Others have established web-based storefronts to supplement or even replace their brick-and-mortar establishments. A comprehensive discussion of e-commerce is beyond the scope of any one article — entire books exist on the subject. However, as an entrepreneur or small business owner, a basic understanding of e-commerce jargon can help you be more competitive and perhaps expand your market reach. This guide provides a brief overview of some of the most common terminology associated with e-commerce and e-business. Electronic commerce allows a company to conduct business over an electronic network such as the Internet. E-commerce can stand alone as a business model or be incorporated as part of a larger overall business strategy. E-commerce operates in all four major market segments: business to business (B2B), business to consumer (B2C), consumer to consumer (C2C) and consumer to business (C2B). However, more e-commerce markets have emerged, such as business to employees (B2E) and business to business to consumer (B2B2C). E-business refers to the conduct of business on the Internet. It is not only the buying and selling of goods, but also servicing customers and collaborating with business partners. Major companies have embraced the culture and capabilities of the Internet as an integral part of their business operations. Companies use the Web to buy parts and supplies from other companies, to collaborate on sales promotions, and to do joint research. Amazon.com is a prime example of a company that has thrived by realizing the convenience, availability, and worldwide reach of the Internet. B2C refers to online marketing and distributing of products and services directly to consumers. Many brick-and-mortar retailers and marketers have embraced online B2C commerce It is a natural progression for their companies. The general principle behind implementing such a model is to reach more customers, service them better and increase sales, oftentimes reducing expenses as well. B2B e-commerce continues to experience huge growth. Companies of all sizes and types readily buy and sell products and services on the Internet. B2B e-commerce reduces human interaction, thereby lessening the possibility for human error. Other advantages include reduced overhead expenses, increased efficiency, and greater reach for B2B advertising. B2B e-commerce also allows businesses to establish new markets in more locations, both physical and virtual, far beyond their physical locations. Before the advent of e-commerce, the C2C market was previously limited to classified advertising and garage sales. However, online auction sites such as uBid and eBay have greatly expanded the C2C market for both new and used goods. Some retailers have felt the pinch, especially during challenging economic times. Another outgrowth of the C2C market is the growth of peer-to-peer, or P2P networks, where media is shared amongst users, either legally or illegally. B2G applications include taxation, procurements and customs control for imports and exports. Many lay people do not consider government-related operations when they think of e-commerce. However, many commercial business transactions have benefited from improvements and developments that originated with B2G applications. G2C applications usually include tax returns, issuance of certificates or related documents. Like B2G transactions, G2C interactions transactions do not adhere to the model of e-commerce in the strictest sense of the term. Nonetheless, several G2C applications have become more efficient and effective by adapting e-commerce systems and technologies. A major example is the processing of federal and state tax returns. 1. Door-to-door and mail-order retailers that add online operations. Many traditional mail-order and door-to-door retailers, such as Avon, Misco, Amway and the Fuller Brush company, simply added another distribution channel – the Internet. Some of these retailers also operate physical stores, but their main distribution channel is direct marketing. 2. Direct marketing manufacturers. Several major manufacturers, such as Dell, Nike and Sony, market directly online from company sites to individual customers. Most of these manufacturers are "click-and-mortar", also offering merchandise in their own physical stores or via third-party retailers. However, the manufacturer may be a "pure-play" company such as Dell. 3. Pure-play e-tailers. These companies do not have physical stores. Their entire sales operation is conducted through a virtual storefront, or several virtual storefronts worldwide. 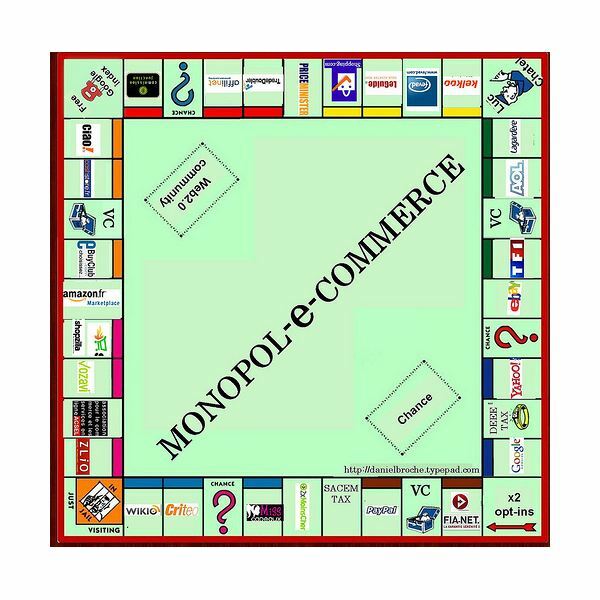 Amazon.com and Play.com are examples of pure-play e-tailers. 4. Click-and-mortar retailers. These are traditional retailers with a supplementary Web site, such as Target or Macy's. 5. Internet (online) malls. Virtual malls such as VirtualEShopping.com include several independent storefronts and affiliate links. Are you looking for new ways to promote your products and reach out to new customers? In this series, we take a look at sales promotion techniques and their influence on buyers.